Enjoy fashionable sign lighting for any business with the 10" Angle Shade Gooseneck Fixture. This all-aluminum commercial light is made from quality-grade aluminum with a rust resistant powder coated finish. Its durable makeup and streamlined silhouette make the Angle Shade Light a favorite for contemporary and traditional storefronts alike. 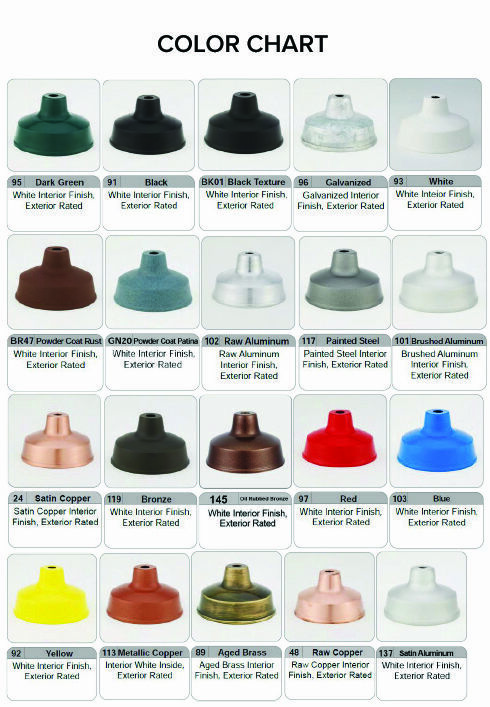 And 25 powder coated shade options allow easy matching to existing design schemes; please note pricing varies. Standard incandescent gooseneck lighting is available to purchase online, or call toll free for upgraded lamping. Sign Bracket Store also offers HID lighting options metal halide and high pressure sodium, in addition to energy efficient favorites LED and compact fluorescent. Ballasting may vary. A 10" Angle Shade incandescent gooseneck is rated for bulbs up to 150W and installs to most standard 4" round or octagonal J-boxes. Also, swivel couplings are available to create an adjustable sign light. Please call for custom accessories, sizes and lamping not available online.